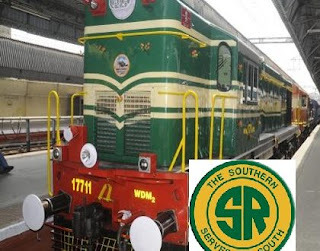 Southern Railway Salem Recruitment 2018 2019 has released its application form for 457 Fitter, Machinist, Turner, Welder (Gas & Electric), Electrician, Diesel Mechanic, Plumber Posts. Want to apply for it? Here we have updated all details. You can get the following details such has process of examinations and interview, eligibility criteria, Offline registration processes, payment of prescribed application fee/intimation charges, Southern Railway pattern of examination, Southern Railway Syllabus, Southern Railway Question Paper, Southern Railway Admit Date Release Date, Southern Railway Exam Date, Southern Railway Result Date. check below all details. Graduation details are : Should have passed 10th Class Examination under 10 +2 system of education or its equivalent. check more details on their official website. The date of birth for candidates for different age groups, should be between the dates given below (both dates inclusive). Selection will be on the basis of merit list prepared in respect of all the candidates who apply against the notification. The merit list will be prepared by Committee nominated for the purpose on the basis of percentage of marks in matriculation (with minimum 50% (aggregate) marks) plus ITI marks. The Minimum percentage of 50% marks in aggregated in matriculation which is not applicable to SC/ST/Ex-Servicemen/PWD candidates. In case of two candidates having the same marks, the candidates having older age shall be preferred. In case the dates of birth are also same, then the candidate who passed matriculation exam earlier shall be considered first. For the purpose of calculation of percentage of matriculation, marks obtained by the candidates in all subjects will be reckoned and not on the basis of marks of any subject or a group of subjects. For the purpose of calculation of percentage of ITI marks, average marks mentioned in consolidated statement of marks for all semesters of the trade applied / marks mentioned in the Provisional National Trade Certificate issued by NCVT / SCVT will only be reckoned. The Processing fee/Cost of application fee is `.100(Rupees Hundred only) which is not refundable is to be enclosed with the application form in this connection necessary Postal order should be drawn in favour of the Work Shop Personnel Officer/S&T Work Shop, Southern Railway-Podanur, Coimbatore-641 023 Payable at Coimbatore. 6. Hard Copies of the signed application (registered online) along with photocopies of (i) ID proof (ii) Proof of Date of Birth (iii) Educational Certificates: Mark-Sheets/Degree Certificate (iv) Caste and attested copies of relevant documents should be sent by Ordinary Post/Dropped into the sealed box at S&T/Work shop/Podanur on or before 22.02.2018super scribed as "Application for Apprenticeship Training Ex.ITI” /Fresher Trade: and sent only by ordinary post /Registered post or drop at S&T/WStoto “The Work Shop Personnel Officer, Office of the Chief Work Shop Manager, Signal & Telecommunication Work Shop, Southern Railway - Podanur Coimbatore – District Tamil Nadu - 641 023”.